1. Click the cog icon in the top-right of your browser and select Internet options. 2. 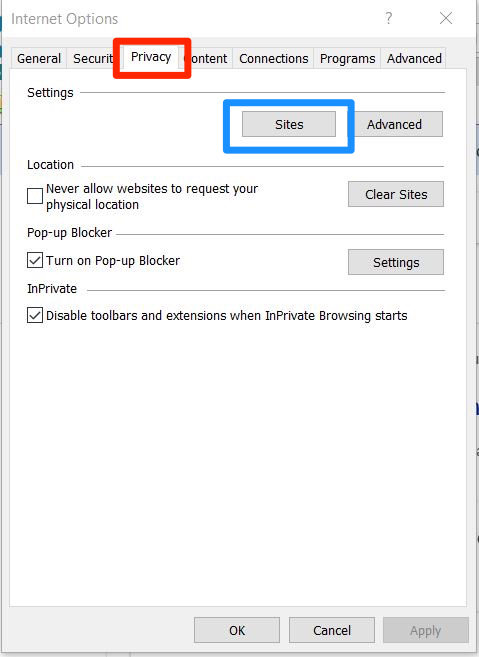 Select the Privacy setting tab and then click on Sites. 3. 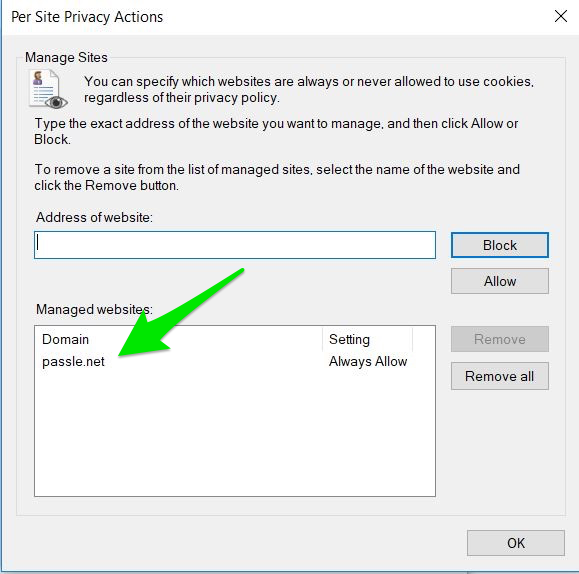 Enter the domain ‘passle.net’ and select Allow. 4. 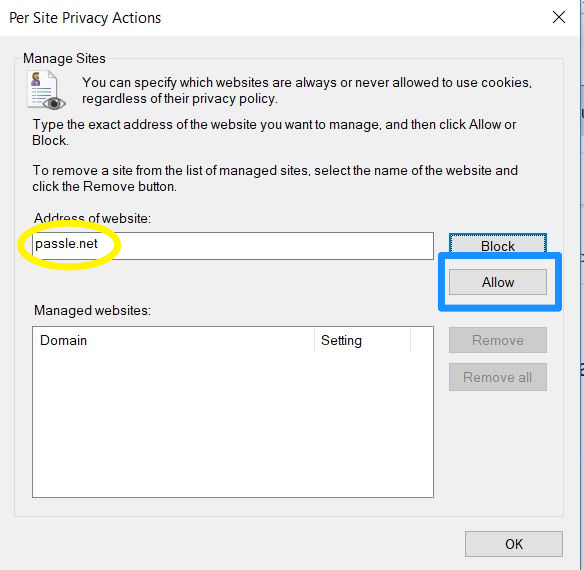 Once complete, you should now see the Passle domain enabled under Managed websites with a setting of Always Allow. 5. Select OK to close the settings.